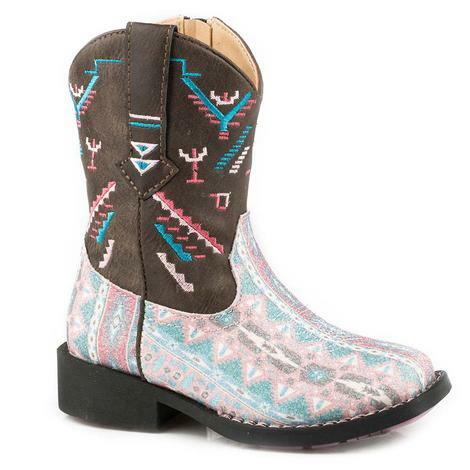 These boots by Roper feature an Aztec inspired design and glittery vamp that your little cowgirl is sure to love. The padded insole insures all day comfort. 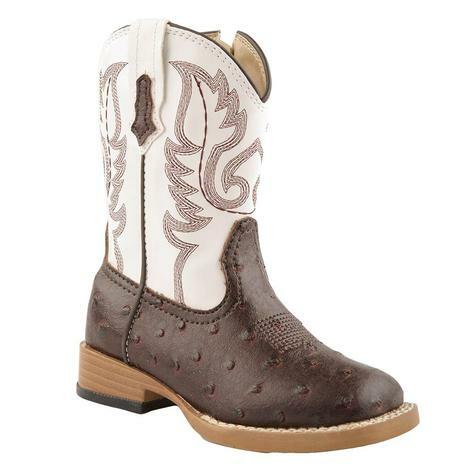 This Roper toddler boot features brown/white faux ostrich, brown vamp, white shaft, and a wide square toe. 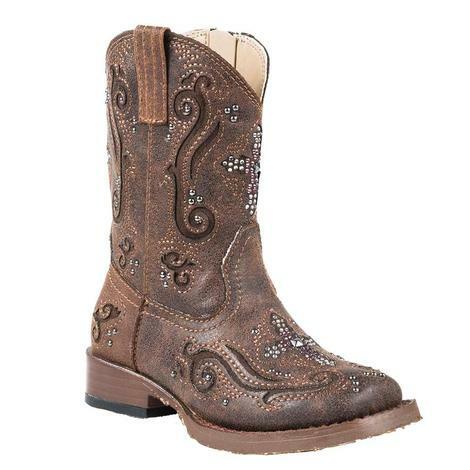 This stylish pair of Roper boots coordinates well with any outfit. All toddler styles feature an inside zipper and padded insoles for extra comfort. 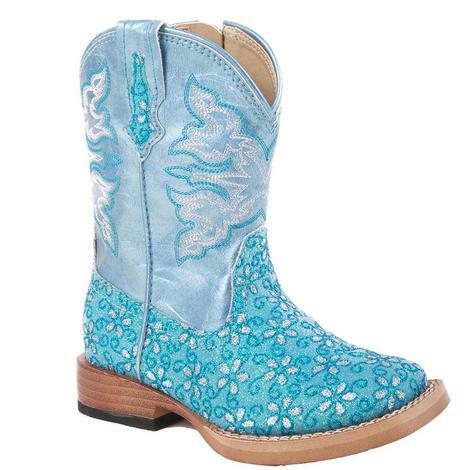 Roper Kids' Turquoise Glittery Floral Cowgirl Boots make an incredible pair of little girl boots that have shine, glimmer, and glitz to them with flowers that dance in turquoise light. Roper's kid boots are sturdy and ready for school. This stunning pair of Roper girl’s boots is what happens when fashion meets country. 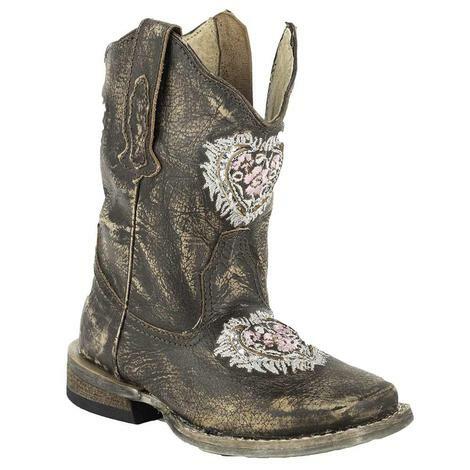 These are the perfect little boots for cowgirls who like glam too. 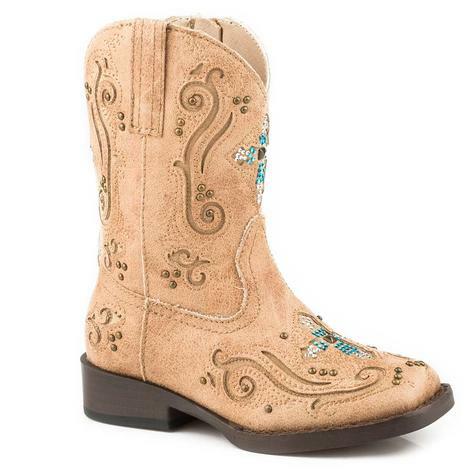 Such a cute boot for your little cowgirl with a big heart. Features a floral heart with a silver underlay. 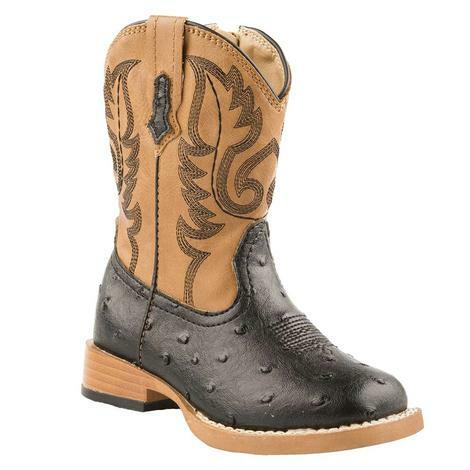 These toddler boots by Roper are adorned with filigree and cross inlays with studded detail throughout. The crystal accents sparkle every time she takes a step. 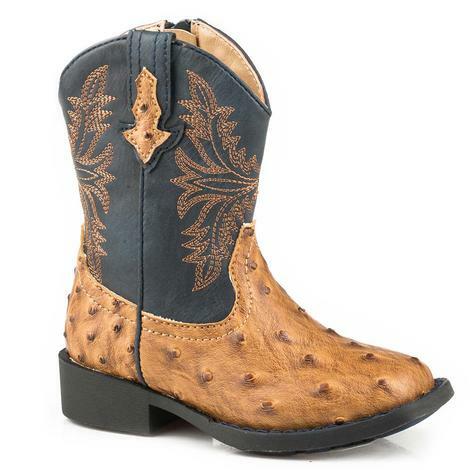 These youth Roper boots are made from faux leather with an ostrich print vamp and intricate western stitching. They have a padded insole for all day comfort. 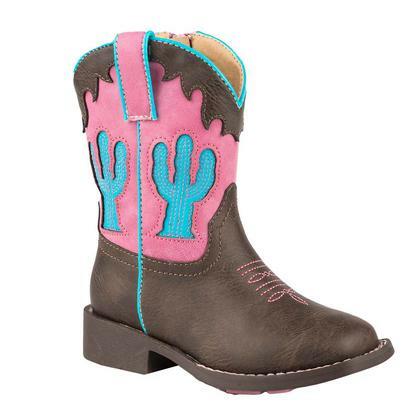 These western toddler boots by Roper have a 6 1/2 inch pink and turquoise shaft and cactus underlay on the shaft with a brown leather vamp. 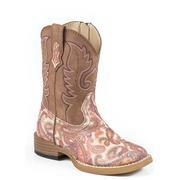 The paisley vamp pairs well with the tan top and western pink stitch pattern perfectly. 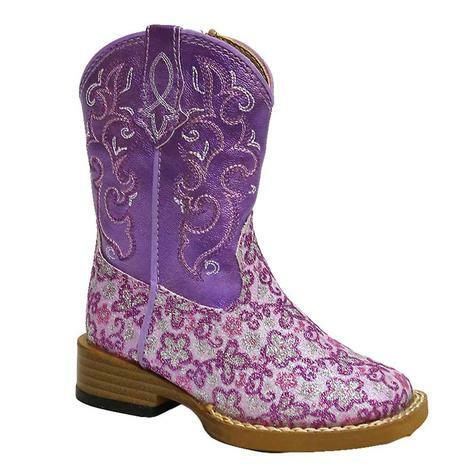 Your little girl can sparkle all day in these Kids Roper Paisley Glitter Cowgirl Boots! These toddler boots match well with just about any outfit. 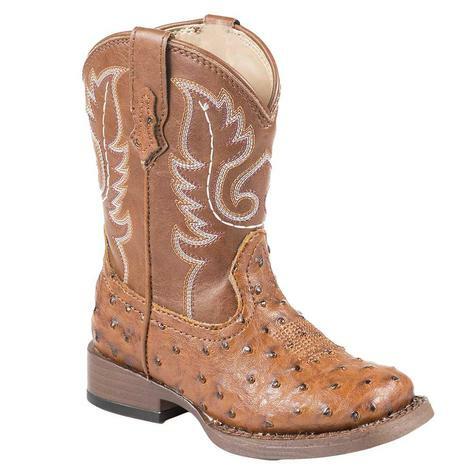 Features include a tan ostrich print vamp and a wide square toe.